The default Apple music app is good enough for the most iPhone 7 users. It lets you manage* music files in albums order to find it without any hassle. But it may not be sufficient for many iPhone 7 users as they want to listen in other formats like FLAC, WAV, Ogg, etc. Apple does not support those formats, and so you will require some other iPhone 7 music player apps. That’s why I have made a list of the iPhone 8 music players to use in 2018. Without any further ado let’s take a look at these media player apps. Shall we? The original Apple music player app doesn't give you swipe feature. It makes a list of all songs on each album from an Artist column rather than making a list from a particular artist. Thus, it's a bothersome task to find out a specific song with built-in media player in iPhone 7. Apple music player isn't compatible with FLAC or other lossless music formats except for MP3, AAC. It's a plan to promote Apple's Lossless audio files (ALAF) and Apple's full version WAV albums (AIFFs). Therefore, you have to convert to MP3 or grab a FLAC music Player for iPhone 7 especially if you have a huge collection of FLAC music. Download GarageBand Music App and install it. Groove Music Player developed by none other than Microsoft. It lets you handle all of your songs smartly. Groove Music Player remembers your previous song choice to suggest to the best possible playlist and new songs and albums in the future. This player is capable of adding new songs, playlists and albums after Logging into your account. It lets you manage your music collection from other devices like iPad, iPod, PC, etc. One more thing, it supports Last.fm integration so that you enjoy unlimited music anytime. Jukebox is a free offline music player on iPhone 7. You can listen to your favourite music without an active Wi-Fi connection. It comes with an inbuilt music library which includes a smooth interface to find and sort your songs. Jukebox integrated with Dropbox. It lets you transfer files from computer to iPhone with one tap. No need to use a USB cable anymore to send and receive files from your PC/laptop to iPhone. Stringer arranges your whole music library and provides a single, unite a collection of all songs. Moreover, it has an option to add tracks from the current album or similar music by pulling the string to the right or left. i tell you one this please use this Poweramp music player for pc. Songbucket is an excellent music player app for iPhone 7. It lets you make your track lists. Just add or remove your favorite songs to suit your style over the time. Songbucket has a gesture search function, pinch zoom (in & out an album and artist lists), forward-backward menu and much more. It should be your go to music player app on iPhone instead of the built-in media player. You can use it with ease. Just give it a try to enjoy music without any problem. Flac Player+ is the best music player for iPhone 7 especially if you have a music collection on other formats such as FLAC, MP3, AAC, WMA, RM. It is a free music app and supports 24-bit and 32-bit audio output. 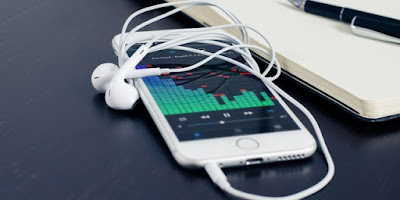 top 10 best free music download apps for android is another best music players for android and ios user's. you will Spotify cracked apk download from here and install it. then play and listen your favorite music songs to easy and beautiful way. Flac Player+ is very easy to use. It lets you handle your favourite songs, album, artist, genre etc. smoothly. I have shared with you the best Apple iPhone 7 music player to use in 2018. I hope that you found it helpful. What's your favorite Apple iPhone music player from the list? hotstar is best app to watch latest tv shows and old match download hotstar app free download for windows 7 softonic and Mobdro premium apk free. Do you know any better music player for iPhone? Let me know by dropping a comment below so that I can add it to my list here. Don’t forget to share this article with your friends on social media. I’ll see you guys in the next post.